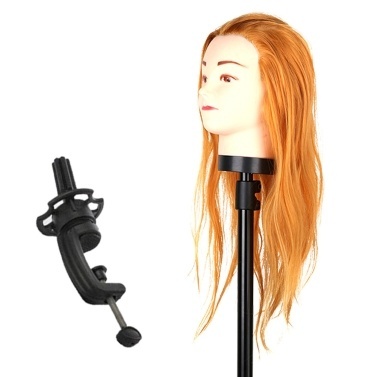 Great Quality Hair Training Head, make you feels soft. It can be washed with shampoo, blow dry, dyeing, marcel, fine pruning. Suitable for cosmetology teacher or students or anyone to practice cutting, braiding, setting, straighten, dyed and marcel. 1.The training heads are made up of high temperature fiber, can be permed and straight.